Home » Blog » Staff Gift Tax – 5 truths about the real cost of giving! Staff gift tax – 5 truths about the hidden cost of Xmas goodwill gifts! Now that the festive season is here and with workplaces across the country braced for the Xmas party season – we look behind the scenes, peel away the wrapping and un-box the truth to inform you… Why staff gifts could end up costing your business more than you thought. It’s true! Many organisations do tend to favour handing out additional holiday days to staff to elongate the Xmas leave period as a cheaper alternative to a bonus. But be warned, without extremely clear communication to your employees, by custom and practice it could become a legal contractual obligation to them. 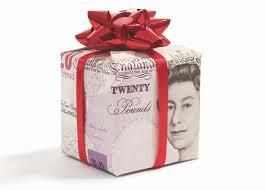 Gifts of cash (or vouchers that can be exchanged for cash) are subject to tax and NICs in the normal way. For an employee to receive a net payment of £100 the value should be converted to gross and additionally employer NI will be liable. Your gift/voucher of £100 will actually end up costing you in the region of £168! Oh yes! The all singing and dancing workplace party that includes a full night of door-to-door hedonism may be great for sparking the latest office romance and do wonders for staff morale. But if it costs your business more than £150 a head, HMRC will look to claim the full amount of tax for the ‘benefit’ divided among the relevant employees (not partners) that attended. Your organisation may produce some great products and a hamper of the scrumptious stuff wrapped up in bows given to your employees may seem like the perfect Xmas ‘Thank You’. But to avoid burdening your employees with liability on this reward, HMRC will have to be notified of the actual cost to the business via a dispensation or PSA – and yes it will be you that picks up that bill too! Any gift which can only be taken ‘by reason of employment’ such as gym memberships, access to holiday apartments or even downloading media for free via the organisation is deemed as a benefit. If you have an unusual situation and are in any doubt at all, a phone call to your HMRC compliance officer could well be called for. But I am not Scrooge or indeed a party wrecker! In fact, I would much prefer to receive a little token of appreciation in the form of chocolate or wine along with a tax bill than to benefit from the latest craze from some employers… Yes it’s true – receiving a ‘free’ prescription for the influenza (flu) jab is not what I would call an Xmas treat!